Ok, there is no completely adequate way to segue into this, so I will just say it: a couple from Utah are auctioning off a giant, metal, LED-lit, flame-spewing scorpion. 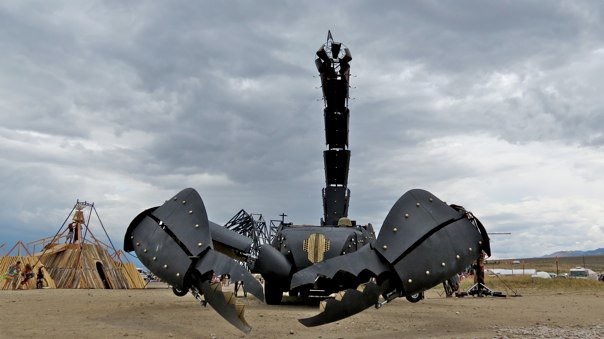 That metal monster is the result of the hard work and design of aerospace engineer Kirk Jellum, built around a 28-foot International boom truck, and equipped with seven tail-mounted flame throwers and 21 hydraulic points to make the arms, legs, and claws all move. Its appearance is based on a female emperor scorpion named Fluffy, and intended to be an accurate replica (including the lights—emperor scorpions glow a greenish-blue color under UV bulbs). Fluffy the Flame-Throwing Scorpion wasn’t the first art car Jellum has designed, though. 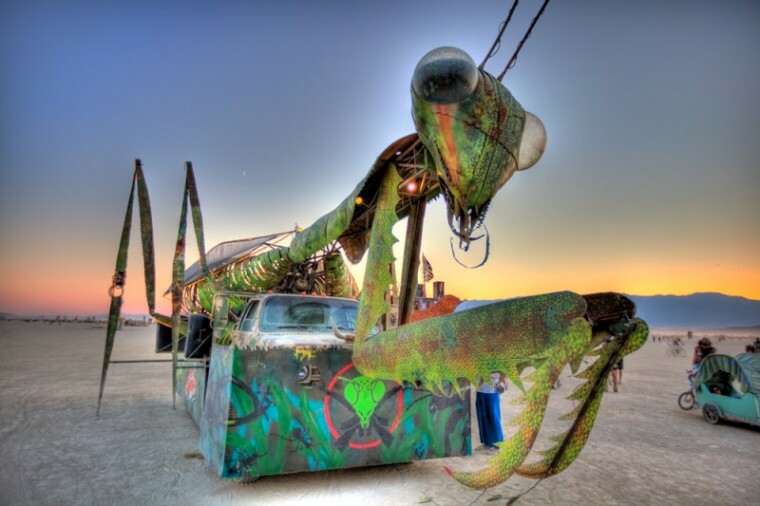 Jellum’s art car career began when he met his wife Kristen Ulmer, with her 23-foot rat art car. Appropriately, this meeting was at Burning Man. So the story goes, after they were married, and after having to answer the question “Is this your rat?” over and over again with “No, it’s my wife’s rat,” Jellum got annoyed, turned to his wife, and said, “OK, we’re selling the rat; we’re building something new.” The result of that was a giant fire-breathing praying mantis which has now become a tourist attraction in Las Vegas, and a year later, the Scorpion. Bidding for the titanic arachnid begins at $50,000, for which you get the Scorpion and full lessons on how to assemble, disassemble, and operate the claws, legs, tail, and, of course, the flame throwers. 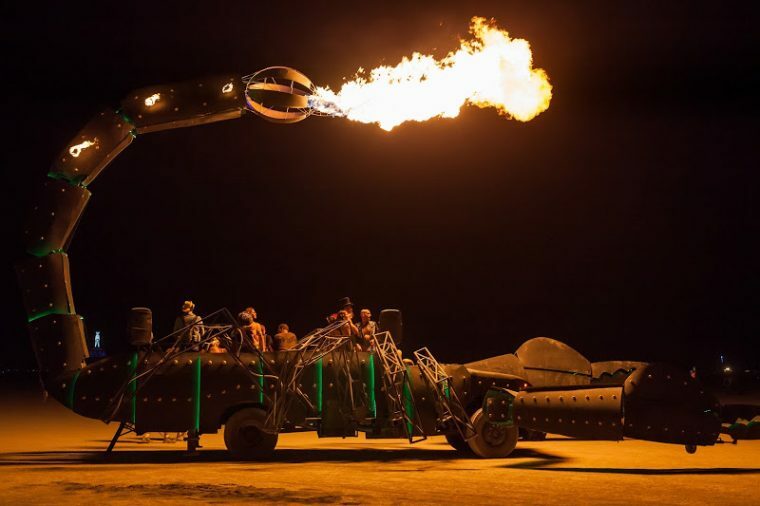 If you get in on this opportunity fast enough, Jellum and Ulmer offer to show you the ropes at Burning Man 2016, after which you can take it home with you (on a flatbed—it turns out a giant metal scorpion isn’t street legal). After the sale, Jellum is already planning to make another art car for his wife. 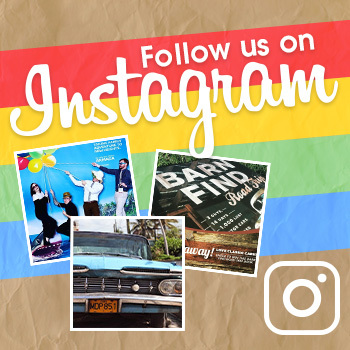 “It’s very romantic,” said Ulmer, “very romantic for my husband … to build me art cars. It makes me very happy.” Of the next project, Ulmer and Jellum aren’t sure what it will look like, but are sure of one thing: flames. “It’s going to have really, really big flame effects because he knows that makes me happy,” Ulmer said.